NOTE: This is an appointment request, not a confirmed scheduled appointment. A member of our sales team will contact you to confirm. 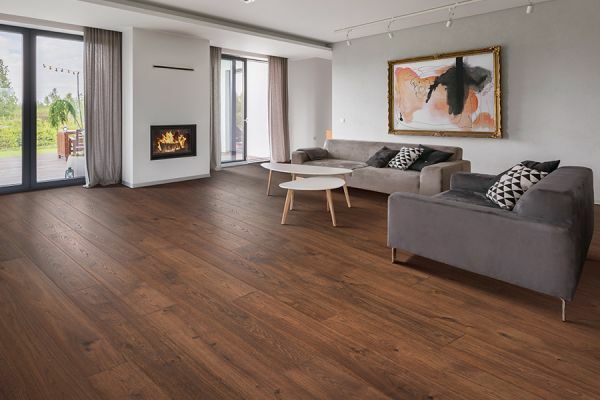 When a homeowner chooses laminate, it is often because it does such a great job of mimicking the looks, texture and graining of real solid hardwood floors. In fact, many people don’t even realize they’re walking on something other than the real thing. Adding in the amazing ability to match stain colors and finish options, you’re left with a flooring that looks exactly like hardwood, in every way. And that’s only where the benefits of this material start. At About Floors n’ More, exceeding customer expectations is just a part of business as usual. Our locally owned business offers you the best one stop shopping experience in the area, and we’ll even help you increase your own knowledge about the flooring you choose. From our Jacksonville, FL showroom, we serve the areas of Jacksonville, Atlantic Beach, Ponte Vedra Beach, & Neptune Beach, FL. We welcome the opportunity to put our knowledge and experience to work for you as well. 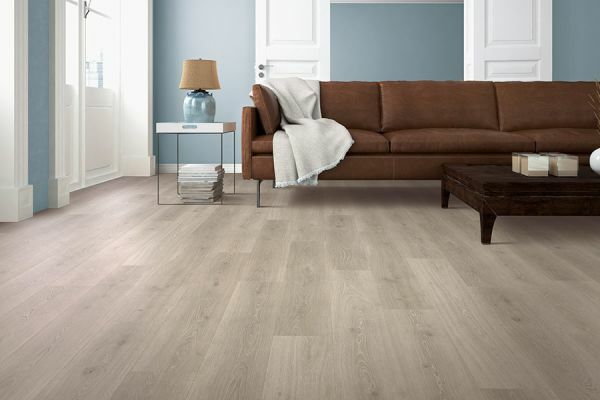 Many homeowners shop for a flooring they can use in a majority of the spaces in their home. This continuity is not only appealing to the eye, but creates an overall compatibility throughout your living space. Laminate is an excellent choice that helps to accomplish this, as it can be installed in every room of your home, without worry. For instance, it’s an excellent addition to living areas, studies and bedrooms. Having the option to choose any hardwood look you’d like, will offer an elegance and a studious atmosphere in these areas. 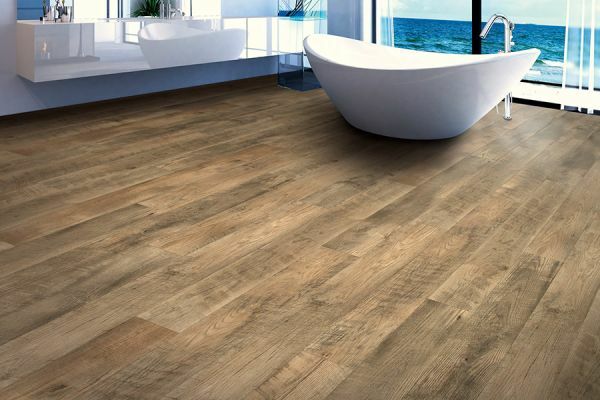 At the same time, you can easily place this flooring in kitchens, dens and bathrooms, especially if you choose the waterproof option. 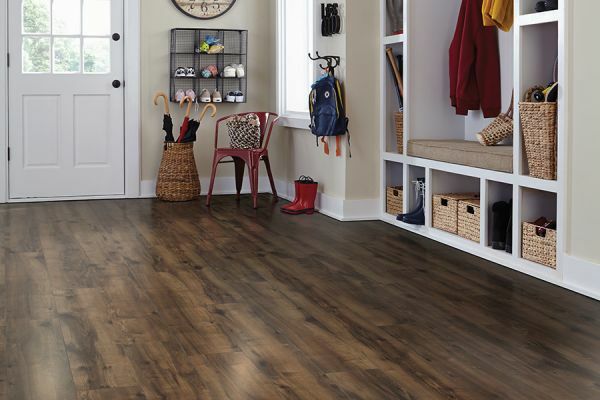 This means you’ll have a lot more peace of mind for your flooring in these rooms, where spills can often happen. 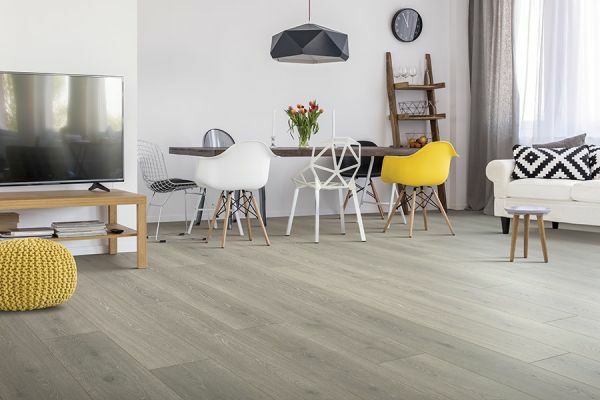 Laminate can even offer the appeal of resilient flooring, with the right underlayment choice. 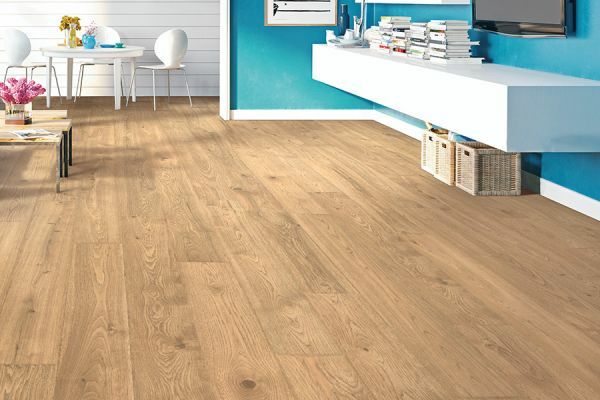 This provides a spring to your step, an added softness to the feel of the flooring, and can also help to alleviate noise in areas where it has, in the past, been troublesome. This can be a great addition to busy foyers, hallways or any other room that sees a great deal of foot traffic. Installation is quick and easy, as this material usually installs over nearly any subfloor. In some cases, you’ll find it to be a fix for some of those uneven areas in your home’s flooring.